Tick season is now upon us! Visit Creepy Dreadful Wonderful Parasites for more information. What tick-borne illnesses are in my area? 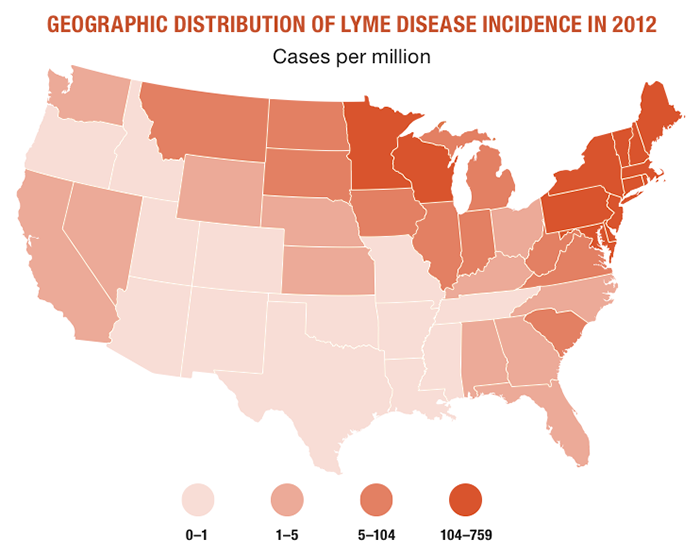 Here a website with a comprehensive list of maps with tick-borne disease geographic distribution. Illness during tick season (April through September for most of the U.S). 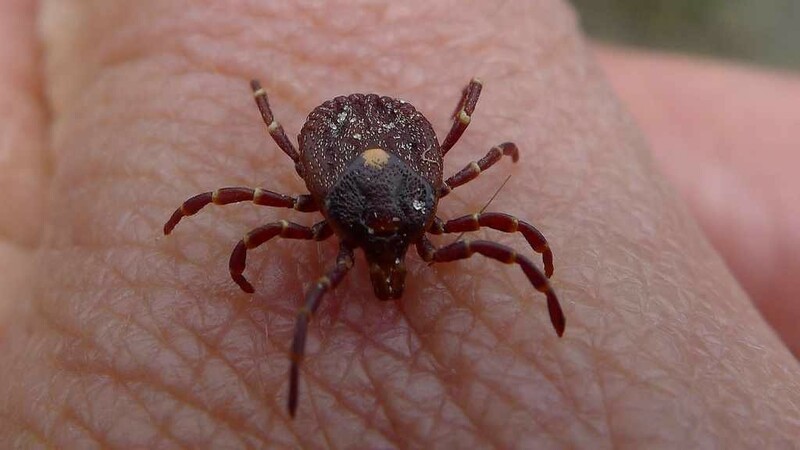 Exposure to tick habitat (forests, tall grasses, leaf litter, etc.) This may include activities such as camping, hiking, and even golfing. Males tend to be at greater risk for tick-borne diseases due to their increased participation in outdoor activities in general. Exposure to pets that go outdoors and may carry ticks back into the home. Primary symptoms are fever, chills, headache, myalgia and fatigue. Depending on the disease, neck pain, rash, Bell’s palsy, arthralgia, arthritis, arrhythmia, hypotension, jaundice, and mental status change may also be seen. Of note, a targetoid rash (erythema migrans) is seen in approximately 80% of individuals with Lyme disease. Warning signs that may indicate a need for hospitalization include dehydration, hypotension, dehydration, renal failure, sepsis, and altered mental status. For patients with a possible tick-borne illness, consider ordering a CBC with differential, electrolytes, BUN, creatinine, and liver function tests, in addition to tests for specific tick-borne pathogens: See specific list here. It’s important to note that patients with a classic bulls-eye rash do not require testing for Lyme disease, since this is considered to be pathognomic for this illness. What do I do with a tick? How NOT to remove a tick! There is no need for drastic measures, like the punch biopsy performed above. Ticks come in all sizes, and can reach very large sizes when engorged with blood. 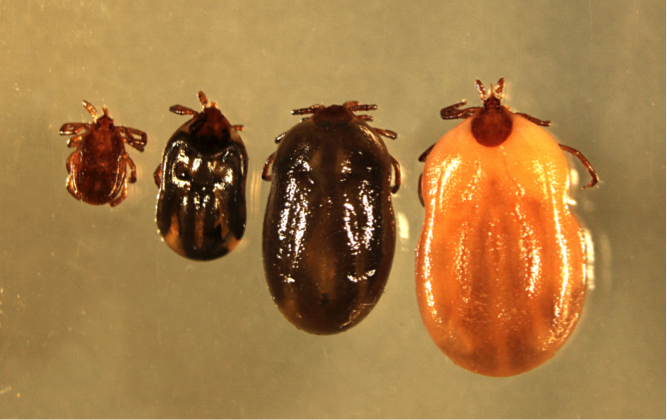 Therefore, you can’t reliably use the size of the tick to differentiate a black-legged (deer) tick from other ticks. The image below shows the degrees of engorgement of the black-legged tick, Ixodes scapularis, which transmits the microorganisms that causes Lyme disease, babesiosis, and anaplasmosis. 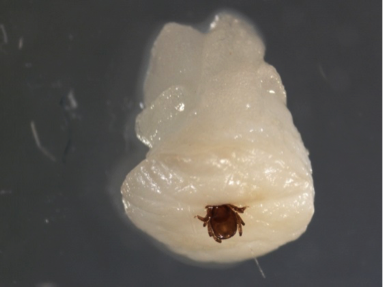 If the tick is visibly engorged, then it has likely fed for long enough to potentially transmit Lyme disease and other pathogens. 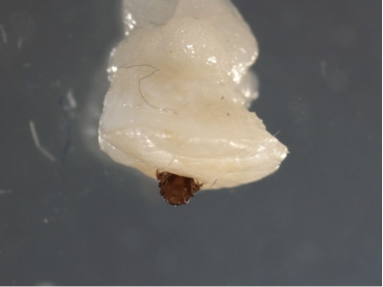 After removing the tick, you can send the tick to the microbiology laboratory for identification, or dispose of it in a sealed bag/container. Evidence of systemic toxicity may indicate that the patient has ehrlichiosis, anaplasmosis, Rocky Mountain Spotted fever or babesiosis, depending on the exposure history of the patient. Because these conditions are potentially fatal, empiric treatment with doxycycline may be indicated. Be particularly vigilant for babesiosis in asplenic patients since they are at risk for severe disease.